Fashion Polish: September back to school/work giveaway part 1 : win Enchanted Polish Scintealliant! 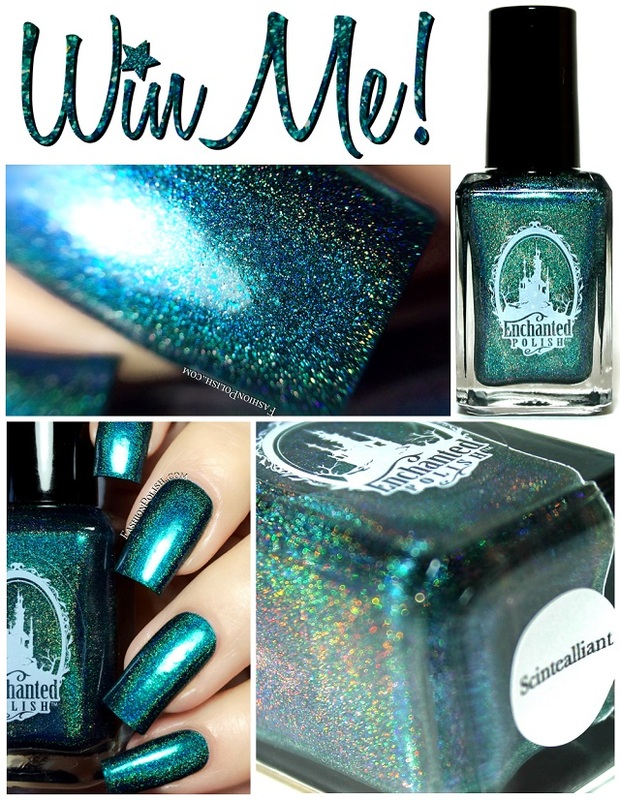 September back to school/work giveaway part 1 : win Enchanted Polish Scintealliant! Soooo... September is already here! I have no idea how that could have happened so fast, it seems like time has been flying by lately. Anyway, to celebrate the back to school/work season, or should I say to lift up your spirits if needs be, I've decided to run a few giveaways this month. Starting with the drop-dead-gorgeous, ultimate teal holo, the one and only Pshiiit Boutique exclusive Enchanted Polish Scintealliant! I don't think this baby needs further introduction but, just in case, here's a link to my review. To win your bottle of Scintealliant, fill in the Rafflecopter widget below and/or head over to Instagram to earn bonus entries! Isn't it pure teal perfection? Good luck! And don't forget to check out the blog this month for more amazing prices!